"Oh, for the love of movies!" 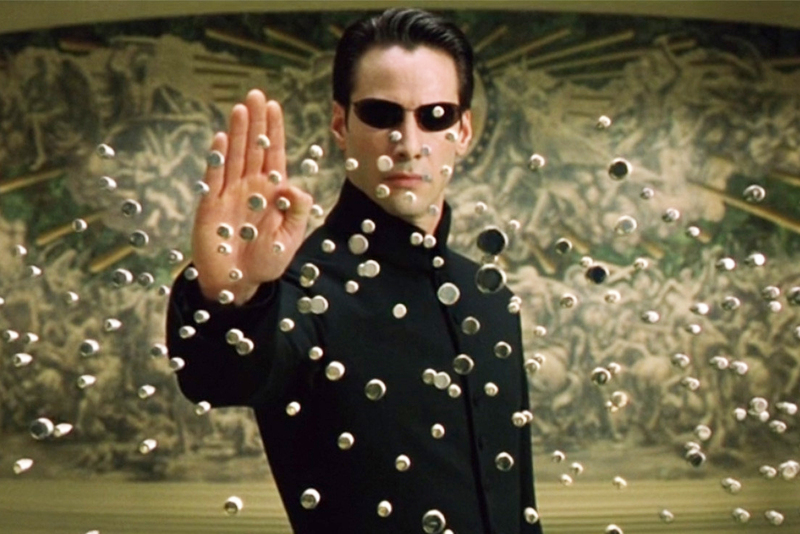 Seemingly in response to Keanu Reeves‘ recent statement that he would be willing to return to the world of The Matrix if the Wachowskis were involved, THR has reported that Warner Bros. is indeed thinking about reigniting the franchise, but as a reboot or relaunch and not a continuation of the series. So, bummer for Reeves and for Matrix fans, basically. Zak Penn, who wrote The Incredible Hulk (before Ed Norton‘s rewrites), came up with the story for The Avengers, and penned Pacific Rim: Uprising with Guillermo del Toro, is supposedly in talks to write a treatment for a new Matrix movie. The only other tidbit of information that was mentioned was that the studio had “potential interest” in Michael B. Jordan (Creed) for the series, though whether he would be take over the role of Reeves’ Neo, portray a young Morpheus, or play an altogether new character was not specified. Representatives for the Wachowski siblings have yet to comment on the news.